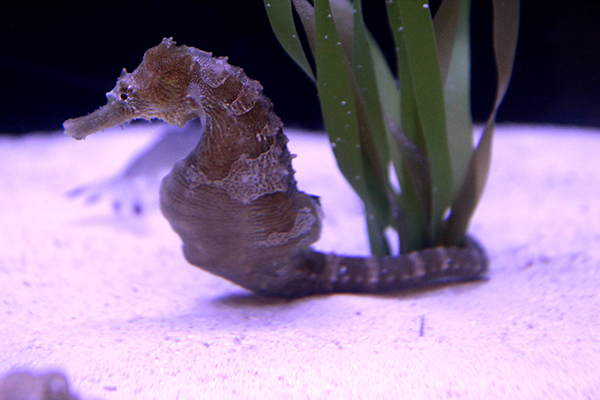 Explore aquatic ecosystems from the Appalachian Mountains to the coast of North Carolina while visiting the Museum! Nine freshwater and five saltwater exhibits can be found throughout the Nature Exploration Center (NEC) and the Nature Research Center (NRC) and are home to 100+ species. These exhibits represent the fish and invertebrate inhabitants of different ecosystem regions in North Carolina. You may encounter a North Carolina native species you have never seen before! If you are feeling scientific, check out the Glofish exhibit in the Nature Research Center to learn how scientists can alter DNA. During your visit you may even see us out and about taking care of the collection. Please ask us any fish-related questions you may have. Are you interested in learning more about what it takes to work with fish and aquatic invertebrates? Our volunteer and intern programs are animal husbandry focused. 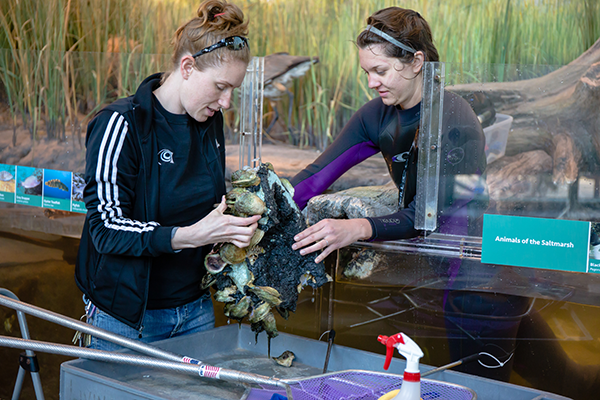 Fish and Invertebrates volunteers assist with the maintenance of exhibits and the daily care of the collection’s native freshwater and marine fish, invertebrates, and plants. For more information please visit out Volunteer and Internship pages. Thank you for your interest in the Fish and Invertebrates Unit! If you’d like to make a contribution to the fish and invertebrate living collection, consider donating an item from our Wish List. 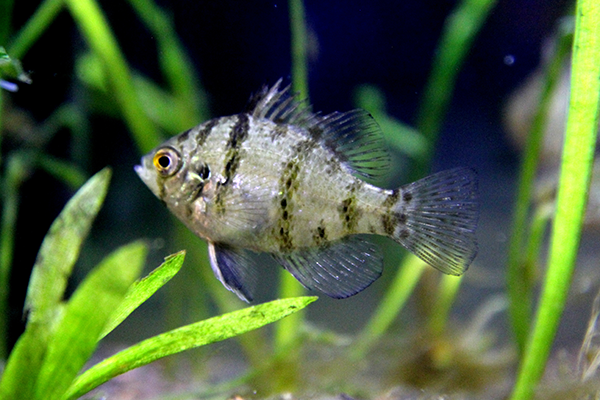 Please, visit our Amazon Wish List website and search for items with the phrase “Fish and Invertebrates” in the item description. Cash donations of any amount are gratefully accepted and can be made online at the Museum donation page. Your donations help in many ways including providing new habitats and life support system repairs and upgrades.